Marketing includes retail, business to business (B2B), lubricants, biofuels as well as pipelines. Our products are marketed around the world for domestic, industrial and transport use and include gasoline, diesel, biofuel, heating oil, aviation fuel, marine fuel, lubricants, bitumen and sulphur. Our global retail business deploys a range of operating platforms. In our invested operating platforms, Shell owns the assets and manages the revenues. Assets and revenues of non-invested platforms are owned and managed by the dealer, wholesaler or licensee. These models enable our business to optimise performance, depending on the country we are operating in. Our branded fuel retail network is the world’s largest, with more than 44,000 branded service stations in more than 70 countries. We serve around 30 million customers every day and sell 200 billion litres of fuel each year, as well as making around $6 billion in annual convenience retail sales. In some markets, such as Switzerland and Eastern Europe, there are more non-fuels transactions than fuel at every moment of the day. Our experience in fuel development, gained over more than 100 years, underpins our position today as a leading provider of innovative fuels. Differentiated fuels with unique formulations designed to improve performance are available in more than 60 countries under the Shell V-Power brand. We are the leading supplier of premium fuels among the international oil companies. In 2009, we launched the Shell FuelSave range, now available in more than 30 countries. Shell is committed to developing world-class fuels for our customers and, in 2017, we launched a new generation of Shell fuels designed for greater efficiency. Our new DYNAFLEX Technology has been developed to help clean and protect key components of our customers’ engines. We are also one of the largest blenders and distributors of biofuels in the world. As engines, vehicles and transport systems continue to evolve we change with them. Our goal is to deliver the energy our customers require today and in the decades ahead. We have a close innovation partnership with Scuderia Ferrari. Our fuel has helped the Ferrari motor racing team to achieve 10 Formula One World Constructors’ and 12 World Championship Drivers’ titles. This partnership enables our scientists and engineers to develop cutting-edge fuel technologies for the racetrack that can be used to make better road fuels for our customers. People are at the heart of the Shell culture. We pride ourselves on having more than 500,000 front-line service champions who are confident, empowered and proud to represent the Shell brand. We have one of the largest global employee-recognition programmes, in which the best front-line service champions from across the world are invited to an annual event where the best service champion is crowned. Retail is investing in enhanced digital experiences for our customers, with digital screens available at pumps in the UK, the Netherlands, Malaysia, Oman and Thailand. The Shell digital experience also gives customers access to fast and flexible mobile payments, a Shell station locator map and connected-car technology. We are also testing a number of innovative digital pilots including ‘Deli2Order’, which enables motorists to get refreshments delivered to their car while filling up, and Shell TapUp – an app-based fuel delivery service in the Netherlands. We are working closely with a number of technology partners and car manufacturers to allow customers to do more from inside their car, including paying for fuel. In February 2017, we announced that Jaguar and Land Rover drivers in the UK can use their car’s touchscreen to pay for fuel via the Shell app. From December 2017, drivers of cars made by General Motors can find Shell stations, earn savings with our Fuel Rewards® programme and find amenities on their new in-car e-commerce platform, called ‘Marketplace’. In January 2018, in collaboration with IBM, we trialed fast-checkout technology that scans the entire contents of a shopper’s basket instantly. This makes it 16 times faster than a traditional self-checkout. The Shell app is available in 36 markets and the Shell station locator is available in 40 markets. Fleet Solutions is an important part of the Shell Retail business, with two million daily customers using Shell cards at more than 200,000 roadside locations worldwide. We also have around 52 million contactable loyalty customers. We sell fuels and speciality products and services to a broad range of commercial customers. Shell is active across the full value chain in lubricants. We manufacture and buy a number of base oil grades and blend them with additives at Shell-owned or joint venture blending plants, creating a range of branded products with different specifications. We then market, sell and distribute those products, either ourselves or via partners, in more than 100 countries. We have around 1,200 accredited distributors, in locations that make sense for our customers. We sell to both individual consumers and to business customers. Shell also owns Jiffy Lube® franchised service centres in North America. We offer market-leading brands for a broad range of applications, including passenger car motor oils, heavy-duty engine oils, process oils, hydraulic fluids, industrial engine oils and greases. Since 2014, we have launched a number of new premium products made from natural gas – Pennzoil Platinum in North America, Shell Helix Ultra outside of North America, and Shell Advance Ultra. They contain Shell PurePlus Technology, a patented process which converts natural gas into a clear base oil, the main component of motor oils. These premium products offer better lubrication compared to base oils made from crude oil. They help to extend engine life, reduce maintenance costs and oil consumption, maintain fuel economy and improve engine cleanliness. Today, the Ferrari Formula One, BMW Motorsport D™ and Hyundai Motorsport World Rally Championship teams all use Shell Helix Ultra with PurePlus Technology. The Ducati MotoGP team uses Shell Advance Ultra with PurePlus Technology. In 2016, we launched the Shell Rotella range of heavy-duty engine oils, an industry-first offering of oils compatible with the latest specifications prescribed by the American Petroleum Institute. In 2017, Shell launched similar formulations for its other global markets under the Shell Rimula brand. 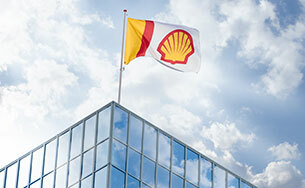 Shell Lubricants has been recognised as the global market leader for the 11th consecutive year, reflecting our long-standing leadership in the industry. This accolade was confirmed in the recently published Kline & Company’s 15th Global Lubricants Industry: Market Analysis and Assessment: 2016-2026 report. The report covers the sector in 2016. Shell Aviation has a presence at about 850 airports in around 30 countries and refuels an aircraft every 14 seconds, on average. Our marine business supplies around 90 grades of lubricants and nine types of fuels, as well as dedicated technical services for marine vessels powered by diesel, steam-turbine and gas-turbine engines. Shell Bitumen is a leading international marketer of bitumen, with over 1,600 customers across 30 countries, and supplies enough bitumen to resurface 450 kilometres of road lanes every day. We have also developed innovative bitumen products that can be mixed and laid at lower temperatures than conventional asphalt, which helps reduce energy use and CO2 emissions. In 2015, Shell Bitumen was recognised by the International Road Federation for its odour-neutralising product Shell Bitufresh. Shell Sulphur Solutions is a dedicated business which manages the complete value chain of sulphur, from refining to marketing. The business provides sulphur for industries such as mining and textiles and also develops products which incorporate sulphur, such as fertilisers. In 2016, we licensed our Shell Thiogro technology to Office Chérifiendes des Phosphates (OCP), one of the world’s largest fertiliser producers, to produce premium sulphur-enhanced fertilisers at their production facility in Jorf Lasfar, Morocco. In 2011, Shell and Cosan launched the Raízen biofuels joint venture (Shell interest 50%) in Brazil to produce ethanol, sugar and electricity, as well as supply, distribute and sell transport fuels. With a production capacity of more than 2 billion litres a year of ethanol from sugar cane, Raízen is one of the world’s largest sugar-cane ethanol producers. The deal marked our first move into the mass production of biofuels. In 2015, Raízen opened a second-generation biofuels plant, which uses technology from our earlier programmes with Iogen Energy. In 2017, the plant produced almost 10 million litres of cellulosic ethanol from sugar-cane residues. It is expected to produce 40 million litres a year once fully operational. We continue to invest in the research and development of new ways to produce biofuels from sustainable feedstocks, such as waste and cellulosic biomass from non-food plants. In 2017, we completed construction of a demonstration plant at Shell Technology Centre Bangalore, India. This plant will demonstrate a technology called IH2 that turns waste into transport fuel. Shell Pipeline Company LP operates seven tank farms across the USA and transports more than 1.5 billion barrels of crude oil and refined products annually through about 6,000 kilometres of pipelines in the Gulf of Mexico and five US states. Our various non-operated ownership interests add about 13,000 pipeline kilometres to our portfolio, unlocking multiple interfaces to share best practices with other pipeline operators. We carry more than 40 kinds of crude oil and more than 20 grades of gasoline, as well as diesel fuel, aviation fuel, chemicals, and ethylene. 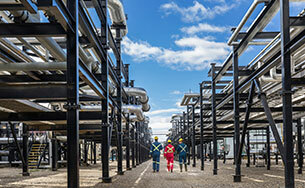 Shell Midstream Partners is a fee-based, growth-oriented master limited partnership formed by Royal Dutch Shell to own, operate, develop and acquire pipelines and other midstream assets. Shell Midstream Partners L.P. is listed on the New York Stock Exchange under the ticker symbol “SHLX”. Shell Midstream Partners' assets consist of pipelines, oil storage and terminal systems that serve as key infrastructure to transport and store onshore and offshore crude oil production to Gulf Coast and Midwest refining markets and to deliver refined products from Gulf Coast markets to major demand centres. 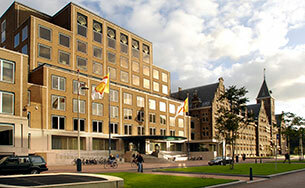 Shell controls the general partner.